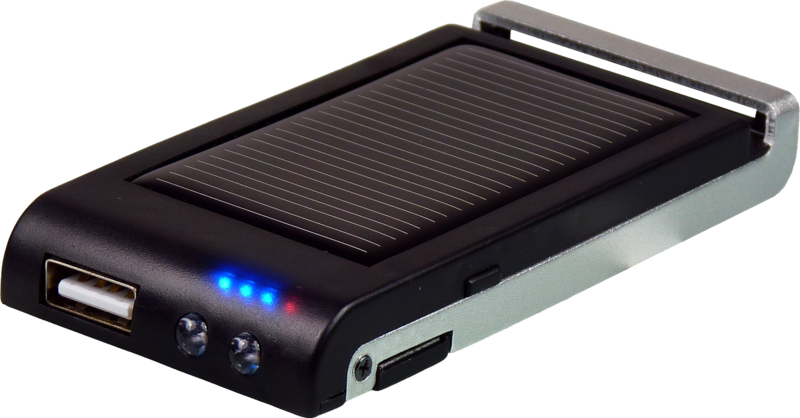 The POWERplus Colibri is a solar powered powerbank – charger for your mobile equipement. Use your USB cable supplied by your mobile phone or other mobile equipement and connect to the USB-out port. This product can also be charged by USB; on the bottom of the charger is a foldable USB connection integrated, so you have always your charging in cable ‘on board’. The Colibri comes with a LED USB ‘snake’ light and a mini strap, so you can turn your charger into a desklight or a hanging LED light system. The Colibri has an integrated charging indicator and battery status indicator (3 blue LEDs) as well. Also integrated is a 2 LED flashlight.